“We are essentially addressing the contradiction where farm-gate prices for cabbages, for example, are less than Sh10 a piece but the consumer pays Sh60. In-between numerous traders, brokers and county levy collectors eat the sweat from the farmer and the savings from the consumer. We are creating a facility that will be a big help for both the farmer and the consumer,” says Mr. Munene Mashine, the Project Manager. 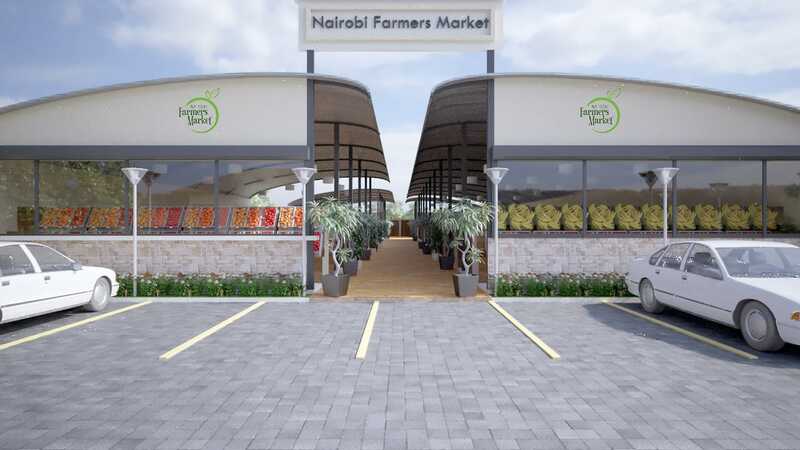 The market developers will encourage stall owners to contract and supervise small-scale growers to ensure sufficient supplies within the set quality guidelines while also spreading the benefits of the market to more farmers. By aggregating produce from the many farmers in the market, they hope to create a secondary outlet for supplying institutional customers such as hotels, restaurants, schools and hospitals. This will ensure and an expansive market potential that can provide an outlet for thousands of farmers. He further adds that they will encourage shop owners to sign up outgrowers across the country, and even to work with County Governments where necessary. This way they can create an efficient road to market for the exceptional pineapple growers of Homa Bay, the sweet potato farmers in Kakamega and the honey producers in Baringo and elsewhere. They are creating a platform that offers guarantees at both the supply and demand side of the equation and hopefully we can provide some stability for everyone.